Twitter is changing. The cute bird has gone public, introduced self service advertising and is verging on visual. I remember when I joined in 2008, that the rules of engagement were just about fun and frivolity. It was a playground for social media enthusiasts that were exploring and pushing the boundaries. It was about having conversations with people all over the world. That still happens. There were only 4 million people on the platform when I began and using it for marketing was not considered. We were all just playing. Today with mass media embracing it for TV, real time breaking news, distributing content and viral marketing the bird has muscled up. With its increased maturity the rules have become clearer and its marketing power obvious. Here are some essential rules for Powerful twitter marketing to increase brand awareness, leads and sales. This one is often underestimated. When people check out your Twitter account and profile they will only give you a few seconds when checking out your profile. They must know at a glance what your brand is about whether that is a corporate or personal brand. Here are a couple of examples. 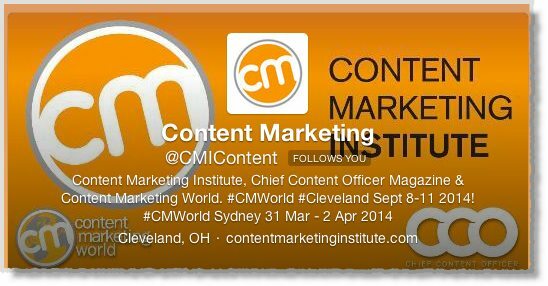 Content Marketing Institute is all about content and events. Their profile makes that obvious. A personal brand will need to display not only what they do but provide some social proof. 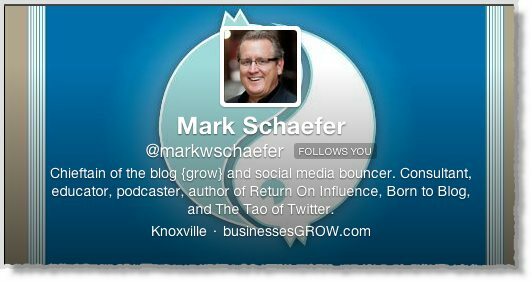 Here my good friend Mark Schaefer tells you what he does and adds the “credibility factor” of a successful author. Now there is no “perfect Twitter profile but make sure that it is sending the right message quickly. It can even be your brand elevator pitch! Social media (and Twitter) is not an island and ensuring that your social networks and blogs are interlinked is key. Many people will check out your blog or website before following. They will be checking out your online credibility. So make sure you have that link. Just check your Twitter stream and your will see “the good the bad and the ugly “when it comes to headlines. Just take a moment to see which Twitter headlines you want to click on. So think about your Twitter headline before tweeting because it will make a difference. Studies have shown that you can increase your conversion rate on a link by 73% if you use a compelling headline. 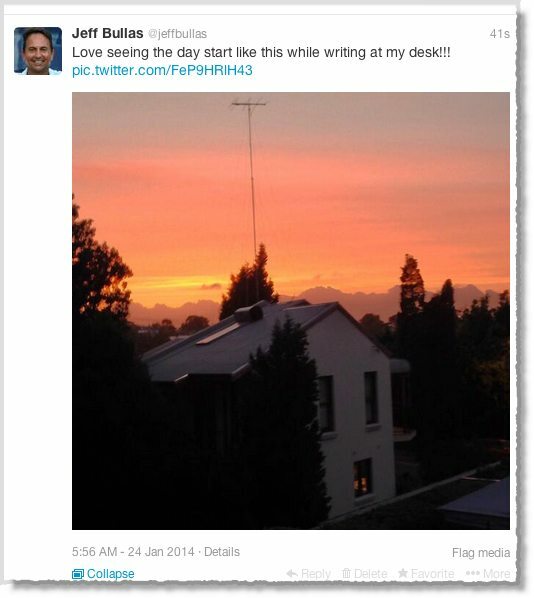 Visual tweets were not even imagined when Twitter started. But the introduction of tweets that display in the stream without having to click have some distinct advantages. Now that doesn’t mean that every tweet should be visual but work out ways to incorporate that into your tweeting habits. The first high profile use of the hashtag was in the 2007 California fires by Nate Ritter with #sandiegofire. The use of the # hashtag has now spread to the other social networks including Google+, Instagram, Pinterest and even Facebook. It allows you to both find and see tweets that are relevant to a topic and group them in one place. 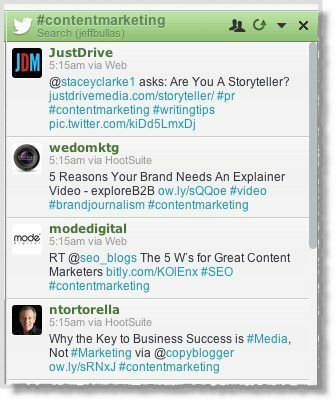 Here is how it can be used viewed on the tool Hootsuite for seeing tweets about #contentmarketing. Hashtags are a powerful way to direct your tweets to people looking for that topic. It is more an art than a science and can be likened to “Herding Cats“. Automation was and is sometimes seen as a threat to the free world by social media purists. They view social networks as only to be used for conversations and not marketing. The truth is that you cannot do “social at scale” for marketing if you don’t use some form of automation. A couple of tools for bloggers that I have found essential is Twitterfeed and also a low cost monthly subscription platform Socialoomph – Professional Edition. For corporate social media marketing you will need to consider using platforms from Hubspot and Marketo for small to medium businesses up to Enterprise level software such as Sprinklr and Adobe if you are a larger corporation. The principle I have found to work for me is “automate the content distribution but not the conversation” This will keep you real but also efficient. Just like email you will have the equivalent of “un-subscribe” it’s called “un-follow”. It happens all the time, so if you lose a few followers here and there, don’t break into tears. Just continue to focus producing the best content you can for your followers. Now, I made a lot of mistakes along the way and one of them was following anyone who had a Twitter heartbeat. During my social media adolescence I followed large Twitter users who had nothing to do with my target market or topic. Using the Twitter tool Tweepi.com (paid version) I can follow followers of other bloggers in my niche(s). For me that includes blogging, social media, digital and content marketing, These are qualified groups of followers. The principle of reciprocation does the rest. Some follow you back! 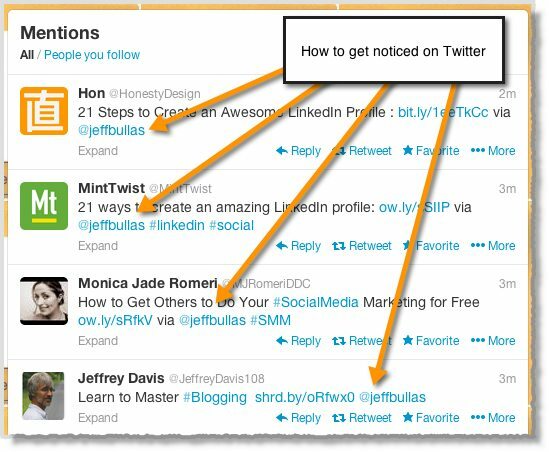 The tactic of using @mentions when tweeting their content means they will notice you in their stream. Here are some I can notice right now! I share about 25 bloggers content on a consistent basis and the @mention is always used when sharing their valuable content. This can lead to being able to connect and network. It is also an affirmation that you appreciate the content. Engagement is a term that is often overused, often to its detriment on social media. What it really means is that you thank people (when you can), share their content, have conversations and in general just have some personable fun. It will surprise you to where it will lead. Even friendships on the other side of the world. I remember one with Amy Howell that emerged from a very funny online and sometimes bizarre conversation that we had on Twitter 4 years ago. She ended up introducing me as a Keynote speaker with that story when I spoke in Knoxville in the USA last year. One challenge you will find as you grow your follower network into the thousands is keeping up the personal engagement. I am still working on that. Organic Twitter marketing success doesn’t happen overnight. Sure you can pay for Twitter advertising to accelerate the process. But the seduction of earning your follower base rather than pulling out the credit card is one of the attractions of social media for me. So persist with growing your followers, engaging with others and distributing their and your content on a consistent basis and the results will show up!